The vinyl siding on your home can get very dirty over time. After all, it is exposed to the elements of nature which, at times, can be very cruel. In order to remove built on stains and prevent any from happening; you can always use a professional power washing service. Through the jet stream of a pressure washer; years of grime will safely and easily come off the home. It’s what needs to be in order to beautify your exterior and also a good prep for the summer. When spring rears its head; you need to call a professional cleaning contractor in your area. There are reasons why you need to prep for the upcoming summer; you’re going to be outdoors more and spending more time outdoors requires you to have nicer and cleaner things such as the exterior. And, for safety purposes, a cleaning is necessary. Vinyl siding is a great alternative to exterior paint but vinyl has the tendency to get dirties than paint does in Earlysville. Dirt build up will show heavily on vinyl siding nut depends on the color and style of it. Vinyl siding that’s lighter in color will show dirt and stains while siding that’s got ridges on it will have embedded stains as well. This takes the effort of a professional pressure washer to get rid of. 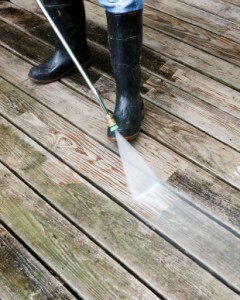 You’ll find that grime that’s gone will cause your home’s value to be increased. Increased value to the home will assist in selling it a lot faster and make you a lot happier knowing that there is more value in the home. Trying to hire a exterior washing professional is the next challenge that you’ll face whenever researching your options. Remember, just because a contractor comes in lower doesn’t always mean that they are the best. Check out their credentials and ask around to your neighbors and friends. If a certain contractor’s name comes up; then you’ll know to research that contractor. There is nothing like a home that’s been treated with a pressure washing. It’s sort of like running your car through a car wash over and over again. It will come out so clean that it will look just like new. You can request an estimate from Cavalier Window Cleaning & Power Washing. They are local and offer experienced, trustworthy and well-rounded individuals that have been doing power washing for many years.